Hats off to Arbor Oils of Africa and Lulu Life for being among the leading socially responsible businesses in Kenya. The quality of their products are excellent. But what stands out more is their committment to ensuring that production is small-scale, sustainable and supportive of the local communities where resources are sourced. Arbor and Lulu’s prices may be higher than the conventional, artificial stuff you get in the stores, but you’ll get so much more in return for your health and our beautiful earth. If you love the stunning East African landscape, consider preserving it by travelling with the eco-friendly safari pack from Arbor Oils of Africa. All of the company’s body care products are made from local wild harvested plant ingredients and oils, two of which are certified organic (Frankincense and Myrrh). 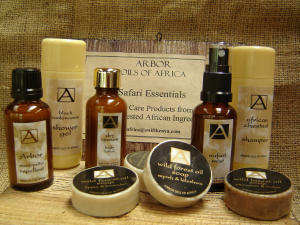 My favourites are Arbor’s African Chestnut shampoo (the best I’ve ever used), soaps and toxin free mosquito repellent. Arbor’s items are elegantly packaged and ideal for gifts. The men’s range includes Amber shaving soap and a light cologne made from African perfume plants. Find Arbor’s goodies at The Karen Organic Farmer’s Market, The Banana Box Company and Pink Skink online store (your cheapest option). I almost fell to my knees in relief when I found Lulu Life’s high end shea body butter cream at a Nairobi bazaar. 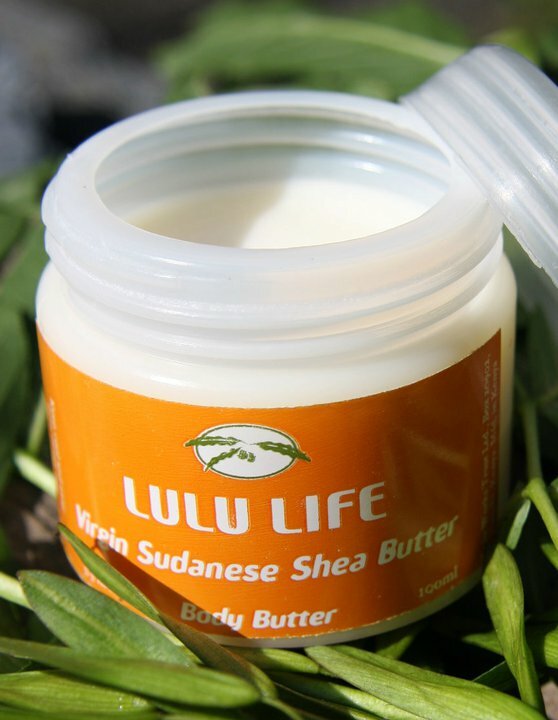 Lulu’s Butter (awaiting organic certification) is rich in oils, vitamins and anti-oxidants and very soothing to use. It also promotes faster healing and younger looking skin. There’s more. Choose from a range of flavoured or fragranced body scrubs, soaps and lip balms made from shea butter. Spread the word. Purchase online (cheapest) or look for Lulu Life at Healthy U and Spinner’s Web. ← Why are nut and seed allergies on the rise?